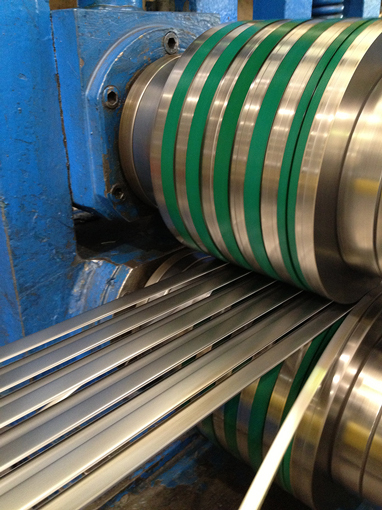 MD Metals specializes in heavy gauge narrow slitting that is always camber free. We slit material from .021″ to .500″ thick and as narrow as .500″ wide up to .52″ wide. 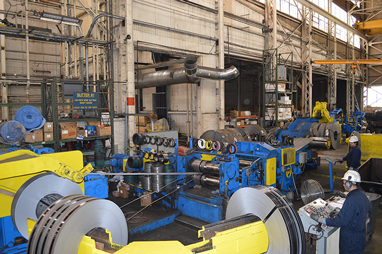 Each of our four slitting lines has unique capabilities that provide our customers with slitting possibilities that most cannot offer. We are a coil processor and we slit and sell our own material. Every one of our veteran slitting operators has over a decade of slitting experience, most with much more. We can slit low to high carbon, alloy and HSLA grades. 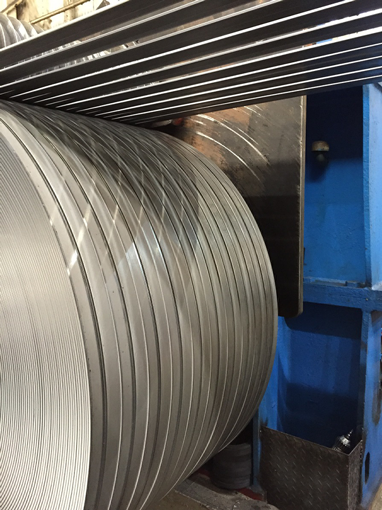 We slit HRPO, HR Black, galvanized, cold rolled and stainless both for our material and as a toll processor for our customers material. 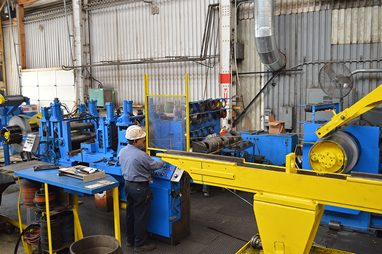 Our new Stamco slitting line is the anchor that creates efficiency and synergy for all our other lines. This machine allows us to take master coils and process to narrow slit coil, edged coil or flat bar/strips, all under one roof! In addition, the 11” arbors, sturdy base and 150 horse slitter head and 200 horse recoiler allows for an impressive amount of cuts on heavy gauge material. This line specializes in slitting heavy gauge material extremely narrow. It can slit .250” thick material as narrow as .625” wide and .375” thick as narrow as .75” wide. #2 Slitter is a custom built speed line for light gauges and very narrow slitting capability. This is our intermediate line that slits everything from light to heavy gauge. It is a great compliment to the ultra-heavy gauge capability of #1 slitter and the light gauge capabilities of our #2 slitter.